Safe Berks is pleased to offer four new Support Groups for survivors of domestic violence and sexual assault. For more information, or to register to attend a Support Group, please contact Danielle Palermo, Director of Counseling at Safe Berks, at [email protected] or 610-373-1206, ext. 120. Information is also available on the Safe Berks website at: www.SafeBerks.org/services/counseling/. Safe Berks also offers individual counseling for survivors of domestic violence and sexual assault. All services are free and confidential. Teen survivors can find strength by connecting with others, finding common ground, supporting each other, and learning new skills. This group meets every other Thursday, from 4 to 6 p.m. at Safe Berks, 255 Chestnut St., Reading, 19602. The next meeting is Feb. 7. Safe Berks and the LGBT Center of Greater Reading have partnered to offer this Support Group. Meetings are held at the LGBT Center, 1501 N. 13th St., Reading, 19604, every other Wednesday from 6-8 p.m. The next meeting is Feb. 13. For more information or to register, contact Danielle Palermo at Safe Berks or Michelle Dech, Executive Director of the LGBT Center, at [email protected] or 610-864-5800. Many survivors of trauma also struggle with addiction. This Support Group provides a safe space to bond with others and continue the journey to healing. 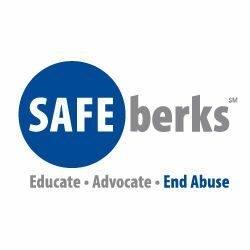 Meetings are at Safe Berks every other Tuesday, 6-8 p.m.; next meeting is Feb. 5. This Support Group is currently filled; however, it will be offered again in the future. For more info or to register for the next group, contact Danielle Palermo, Director of Counseling at Safe Berks, at [email protected] or 610-373-1206, ext. 120. Safe Berks provides free services to survivors of domestic violence and sexual assault. Services include a 24-hour Hotline and Text Line, Safe House, Legal Services, Counseling, and Education & Outreach. Last year, Safe Berks served more than 4,000 clients. Our Safe House provided a haven to approximately 800 people, including 400 children. To reach the 24-Hour Hotline, call 844-789-SAFE (7233), or text SAFE BERKS to 20121. To reach the Safe Berks office, email [email protected] or call 610-373-1206. Safe Berks provides safe haven and support to victims of domestic violence and sexual assault. Our advocacy and education programs increase awareness of oppression and promote the prevention of domestic violence and sexual assault.